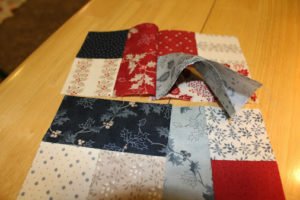 This baby quilt uses a jelly roll, one charm pack, and some sashing fabric to create a fast quilt. 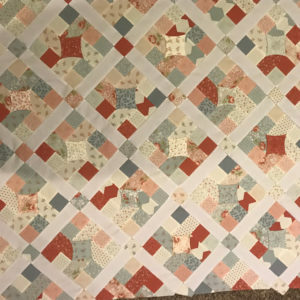 Quickly strip piece the blocks, and then use a fun technique to create dimensional stars. 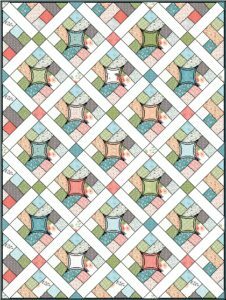 This is a fantastic quilt to stretch your skills – applique, setting blocks on point, and 3-dimensional piecing! 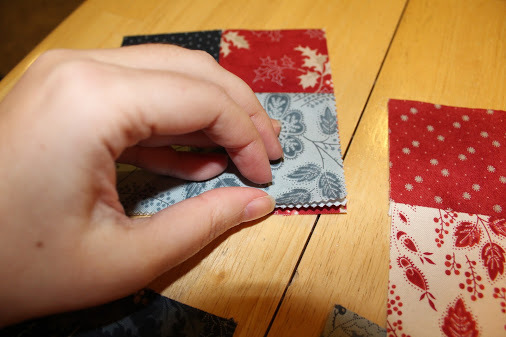 Be sure to read through the instructions first and make a test block before starting the quilt. 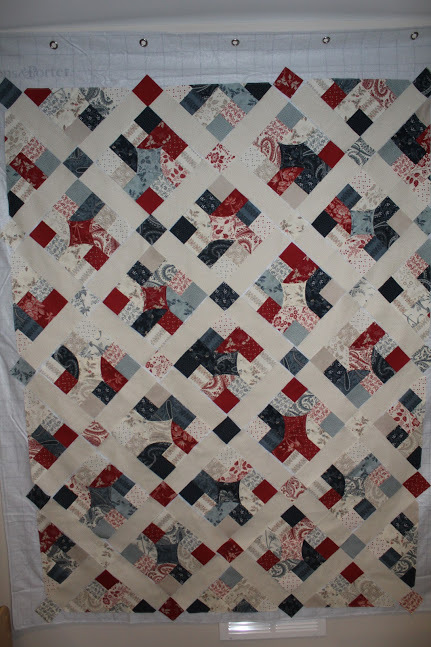 This quilt/project finishes at 43″ x 58″. 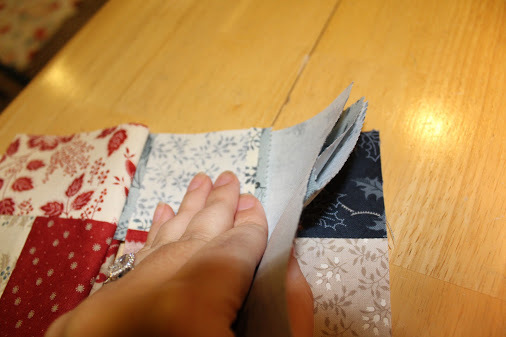 Sew fabrics right sides together with a scant 1/4″ seam allowance. These blocks can be bulky, pressing seams open can help minimize bulk and allow blocks to lay flatter. 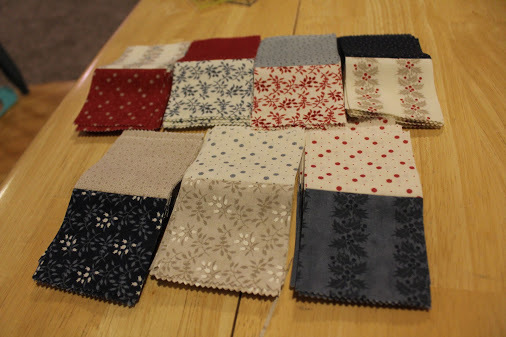 I pressed all my fabrics using Best Press prior to sewing, it helps keep seams crisp. Sew 2 jelly roll strips together along one long edge. 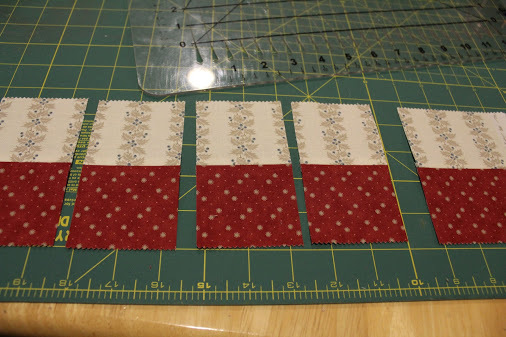 Make 7 sets of 2 strips. Subcut strip sets into 2 1/2″ units. Each strip set yields 16-17 units, a total of 110 units is needed. 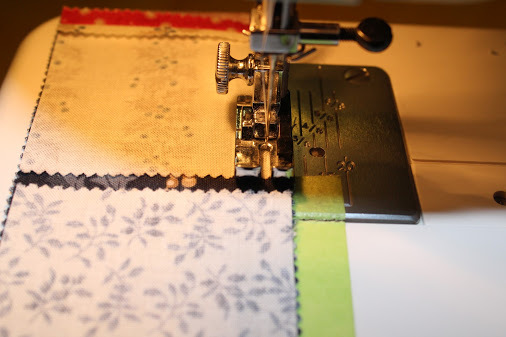 Sew units to jelly roll strip as shown. 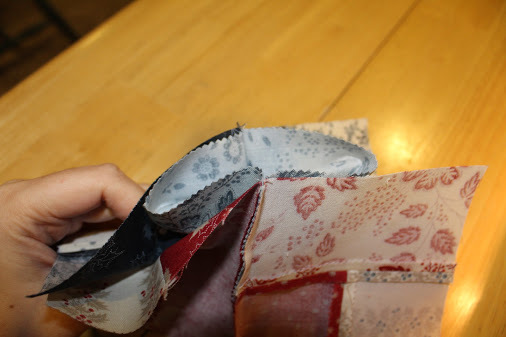 Align first unit and sew with scant 1/4″ seam. Leaving a small gap between units, continue adding units and sewing the length of the jelly roll strip. 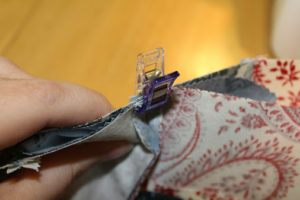 (This next step is a touch tricky the first time you do it, but take your time and pin, pin, pin!) 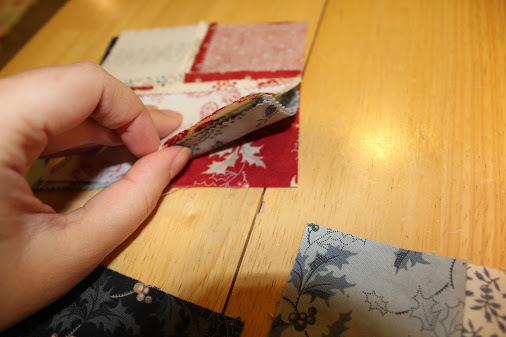 Open the charm square and fold in half the other way. 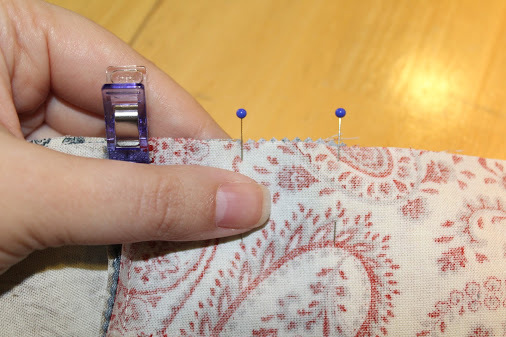 Align the raw edges and pin in place. 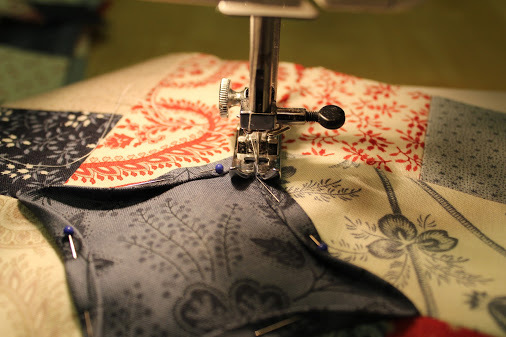 Final seam sewn. Block piecing is completed! 13. 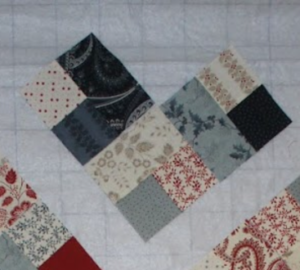 Gently fold loose bias edges of charm square towards the center of the block. 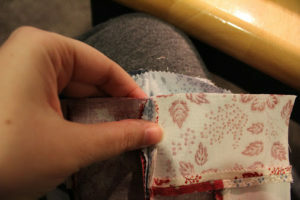 Pin in place and stitch down. 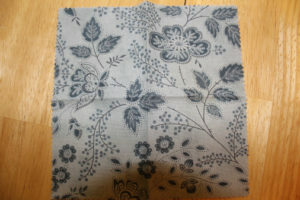 This stitching can be done by hand or machine. 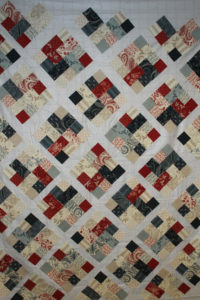 Decorative stitches or constrasting thread can add a special touch to each block. I used a straight stitch close to the edge for my blocks. Choose 3 units and arrange as shown. 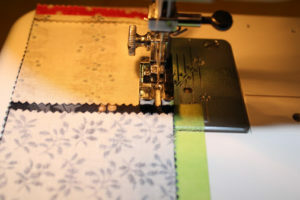 Sew units together and press. 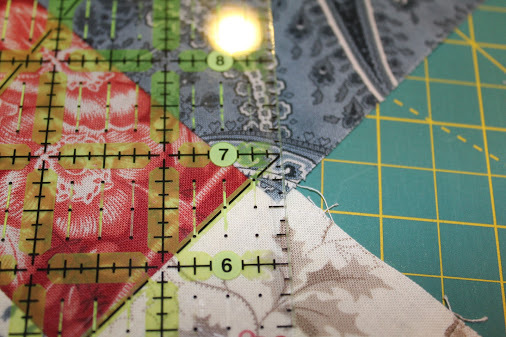 *optional – add a line of stay stitching 1/8″ from edge to stabilize the bias edge. 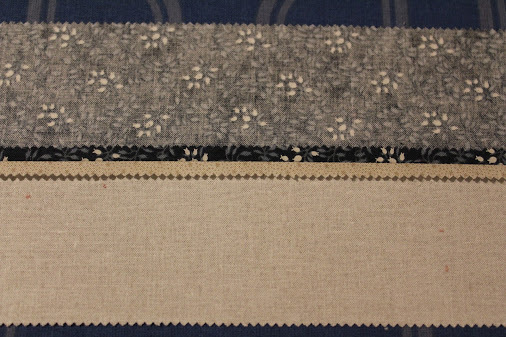 Be careful not to over handle and stretch bias edge. 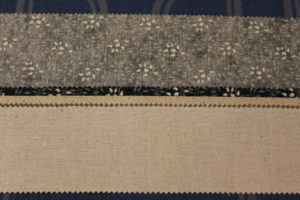 Sashing: from sashing fabric, cut (10) 2 1/2″ strips. Subcut (48) 2 1/2″ x 8 1/2″ sashing units. Corner stones: from remaining jelly roll strips and charm squares, cut (32) 2 1/2″ squares. All arranged on design wall. 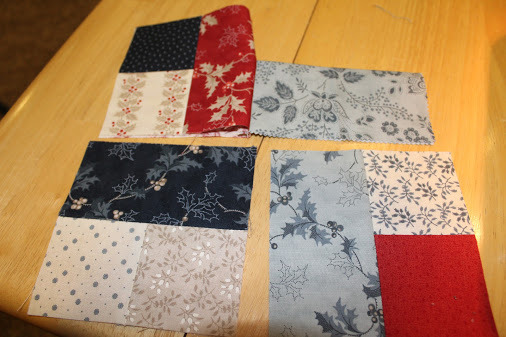 *Note – I did not trim my outside corner stones prior to quilt top assembly. 3. 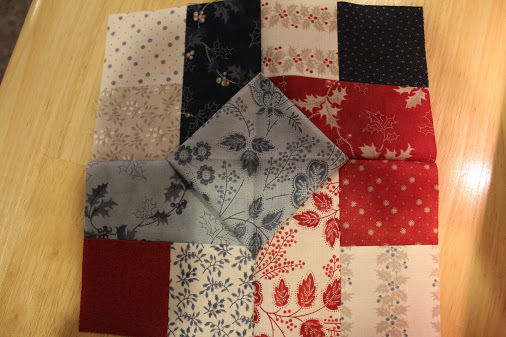 Sew blocks together in rows, and then sew rows together. 4. Layer, baste, and quilt as desired. 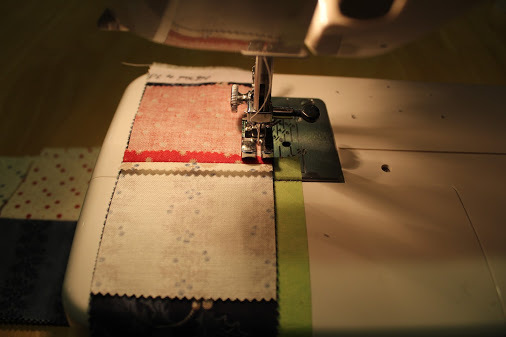 *notes on quilting – the center of the blocks has a lot of layers of fabric and can be quite bulky, take care in choosing quilting designs. 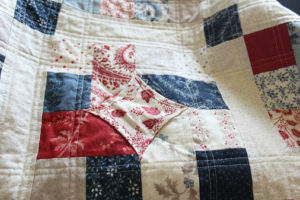 The loose edges of the stars may catch on quilting feet if doing free motion quilting. This quilt finishes at 43″ x 58″. I hope you enjoy making this quilt as much as I did. 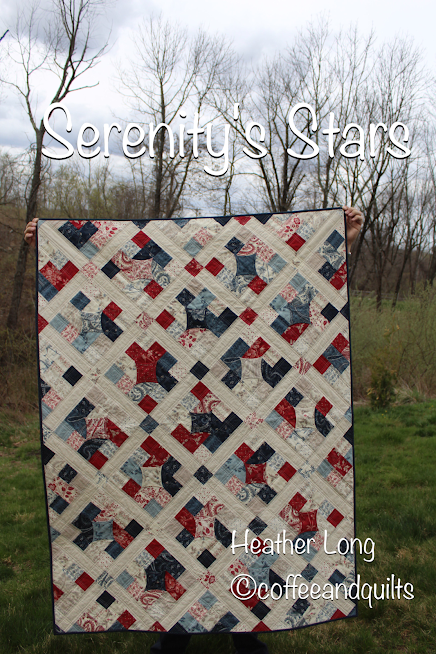 Please share your creations using #serenitysstars on social media and find my blog here. 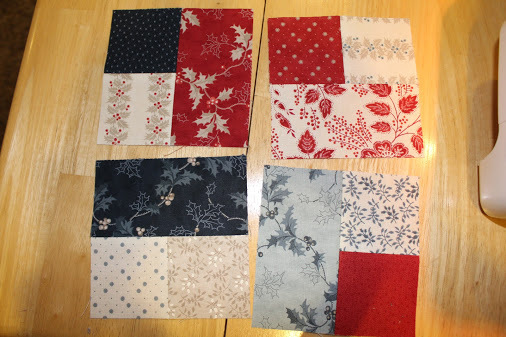 If you can’t wait for these gorgeous Holly Woods fabrics to arrive in June 2018, this quilt is also beautiful in Victoria, also by 3 Sisters fabrics. 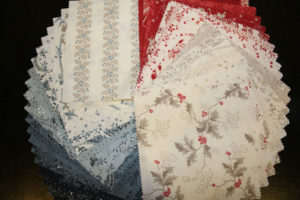 How beautiful are these pinks and blues? And the first collection I envisioned this quilt, Nest by Lella Boutique. I still need to get my hands on some of this fabric! These fabrics, um yes please! 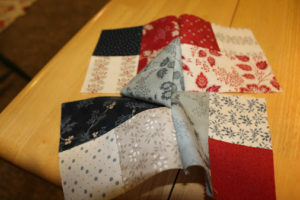 This entry was posted in Baby and Kids, Charm Pack, Jelly Roll, Quilt. WOW, this is an incredible idea!! I will try it. The quilt you share is just beautiful! 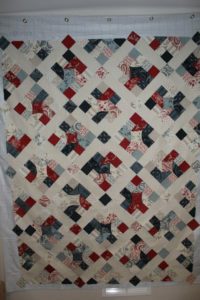 This is a lovely quilt and such a clever idea for that center block. Thank-you, for this design and tutorial. Oh my goodness, this design is incredible! That center part – so intricate and amazing! Whew! 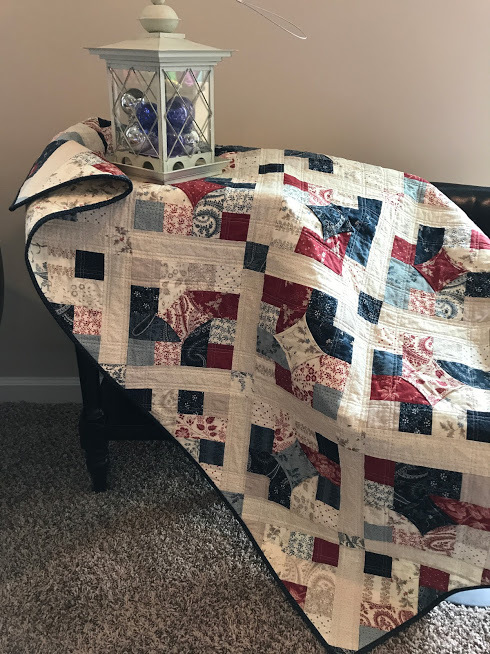 😀 Great job, and love your ideas for additional fabric options. The quilt is gorgeous, but I’m having trouble picturing it. It seems the images are not large enough for my ‘old’ eyes to clearly see the steps. I’ve tried increasing the overall size of the viewing pages, but still not seeing it. What I can see is breathtaking, though! In step 5, is the long side of the folded charm square sewn into the top seam of the bottom units? 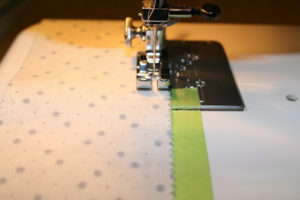 It is sewn similar to the seam in Step 3 – the short side of the folded charm square from raw edges to the fold is sewn to the center seam of the two bottom blocks.